Mold – dangerous fungi that grow in wet areas in our homes – is one of the most annoying domestic problems that we may face. Every year, millions of people around the world are forced to resort to medical help because of asthma attacks and allergic reactions that mold causes. If we don’t act on time, mold can permanently destroy the affected areas, be it flooring, fabric or wood. Mold grows very quickly in unventilated and very hot areas, which is why we often encounter this problem in the cellar, wardrobes, cupboards, etc. To prevent mold growth in these areas, simply vent them from time to time. Open the window and let the air enter your home. It’s like when you wake up in the morning and you vent the bedding sheets in order to protect them against dust mites. 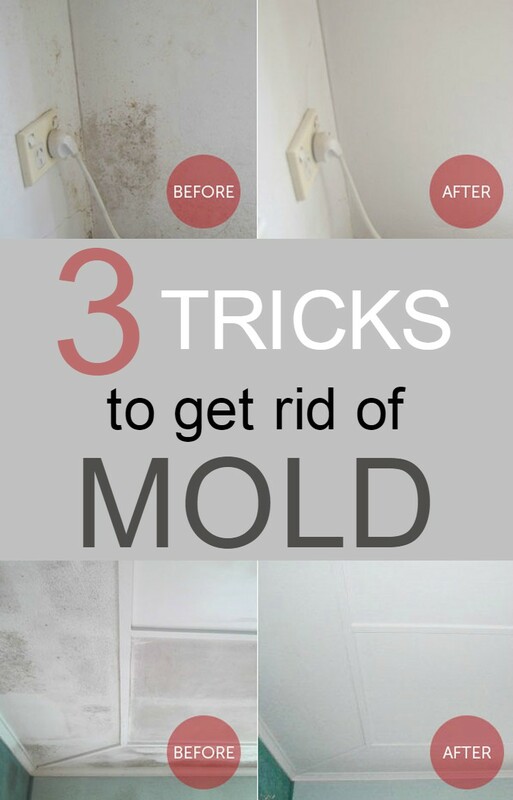 The same trick also works if you want to protect your home from mold. If mold has already affected your whole house, buy a small air purifier. Yes, it will cost some money, but your health and your family is at stake, so you must be willing to make some small sacrifices. 2. Take advantage of the wonderful benefits of tea tree oil! It’s not the first time we talk about the wonderful benefits of tea tree oil. This oil is the best natural disinfectant available on the market, and the results you’ll get will not disappoint you. Tea tree oil can be purchased from any natural products store. This product has many uses, including cleaning the surfaces infested with mold. Simply follow the instructions below! Before you start the job, don’t forget to put your gloves on. Mould can cause unexpected reactions, therefore it’s better that your skin doesn’t come into direct contact with it. Pour tea tree oil and water in the spray bottle and shake it well. Apply the mixture to the areas affected by mold, and your home will be clean again. 3. Try the white vinegar based trick! This trick is very simple and effective. White vinegar has the ability to kill 90% of the mold types, making it one of the best and cheapest remedies that you can use for this purpose. White vinegar is effective to remove mold that occurred in hard to reach areas from the bathroom such as cabinets, the area behind the toilet or doors. To apply this trick, simply follow the instructions below. Fill the spray bottle with white vinegar and apply the liquid to the areas affected by mold. Apply this treatment at least twice a week, paying special attention to areas full of damp and poorly ventilated because mold tends to thrive in these areas.